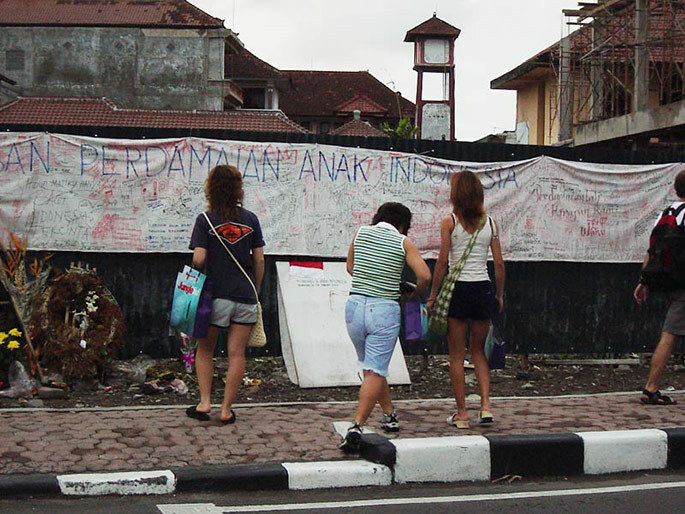 At about 11pm on 12 October 2002, three bombs were detonated in Bali, two in busy nightspots — the Sari Club and Paddy’s Bar — and one in front of the American consulate. The explosions killed 202 people, 88 of whom were Australian, and wounded hundreds more. Carried out by terrorist organisation Jemaah Islamiyah, the attacks represent the single largest loss of Australian life due to an act of terror. Australia has been affected very deeply but the Australian spirit has not been broken. The spirit remains strong and free and open and tolerant. While the victims of the 2002 Bali bombings came from more than 20 countries, Australia suffered the largest loss with 88 fatalities. Targeting busy tourist hotspots, suicide bombers detonated bombs at Paddy’s Bar and the Sari Club, two nightclubs in Kuta frequented by foreigners. 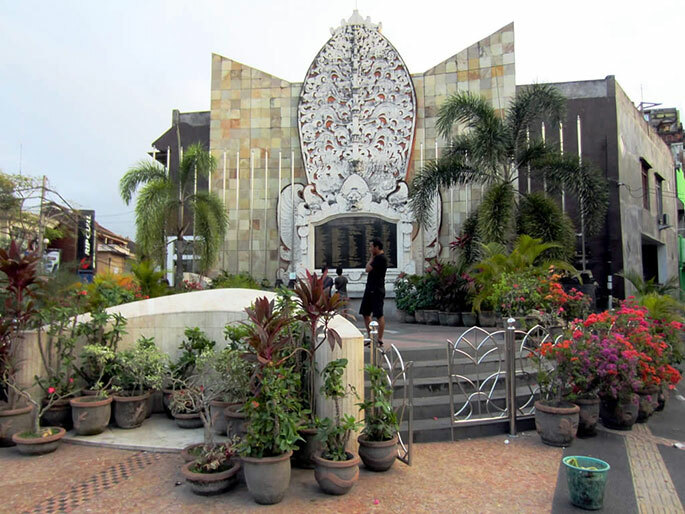 Another bomb was remotely detonated in front of the American consulate in nearby Denpasar. More than 30 people were eventually arrested for their involvement in the attacks. In the wake of the attacks, the Australian Defence Force immediately mobilised and, just 17 hours after the blast, the first RAAF plane arrived to evacuate injured Australians. In the largest aero-medical evacuation since the Vietnam War, at least 66 badly injured people were flown to Darwin for treatment. The military then assisted in secondary transfers of people from Darwin to medical centres around the country. Hours after the attacks, the Australian Federal Police (AFP) also organised a team to go to Bali. It included disaster victim identification staff, forensic investigators, intelligence officers, administrators, security staff and IT and communications staff to assist the Indonesian National Police (INP) investigation. Over 10 days, AFP members also interviewed 7000 Australians about their experiences as they returned to Australia after the attacks. The AFP was instrumental in identifying and returning victims to their families, and provided extensive investigative support that led to the capture of the perpetrators. Out of the destruction of the bombings came many stories of ordinary people making extraordinary efforts to help those affected. People who were injured in the blasts stayed to assist others, and locals and foreigners went to the site to help. Tourists with medical skills worked with overwhelmed Indonesian medical staff at the bombsites and local hospitals. Nearly 200 Australians later received formal recognition for their bravery and the assistance they provided both immediately and in the following months. Since the bombings, a memorial to the 202 victims has been built on the original site of Paddy’s Bar. Each year, remembrance events are held there and around the world. Many of the survivors of the attacks have also shared their stories by publishing books about their experiences. They took many lives but they failed in their mission. October 12 2002 was also a day of great heroism. Of selfless acts of courage. Of remarkable emergency response. What was a terrible day of shared grief for Indonesia and Australia became a day of great shared resolve. Australia maintains a close political relationship with Indonesia, and the AFP continues to work with the INP in many capacities, especially in combating terrorism. Indonesia, and Bali in particular, remains a popular holiday destination for Australians.